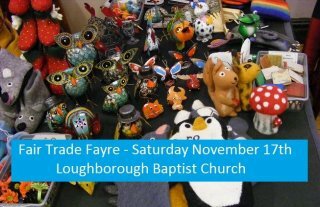 Loughborough Fair Trade Fayre is your chance to buy fairly traded, locally made and upcycled gifts, crafts, foods and fashions. 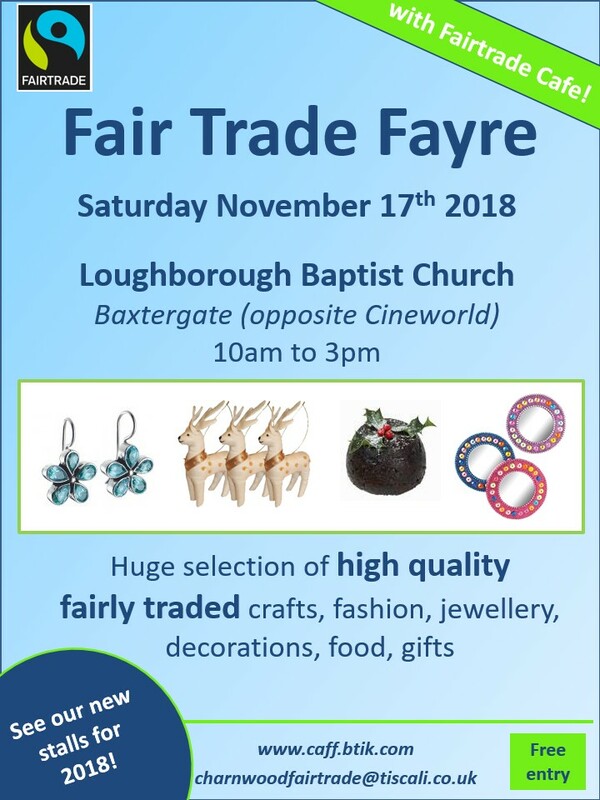 The Fayre takes place at Loughborough Baptist Church on Baxtergate, on Saturday November 17th 2018 from 10am to 3pm. Confirmed stallholders include the Fair Trading Post, Koseli Fair Trade, Waywood Fairtrade, Zaytoun, Oxfam, Elefair, Neal's Yard, Fairtrade Interiors and Alethia Foods, plus local fairly traded clothing company Adoptd Clothing. The cafe will be open too, run by Fair Trading Loughborough and selling both savoury and sweet treats. Admission is free and all are welcome.